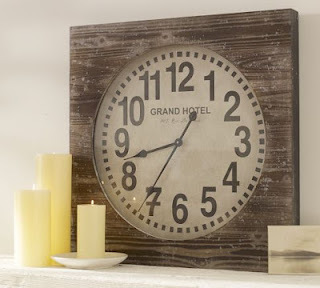 Debbie was inspired by a Pottery Barn clock, the Grand Hotel Clock, to create a DIY wood framed clock of her own. Here is the PB version. In my opinion, her clock is about 100 times better looking! I am actually not even a fan of the PB version, but hers I love! Now that is my idea of a good knock off. 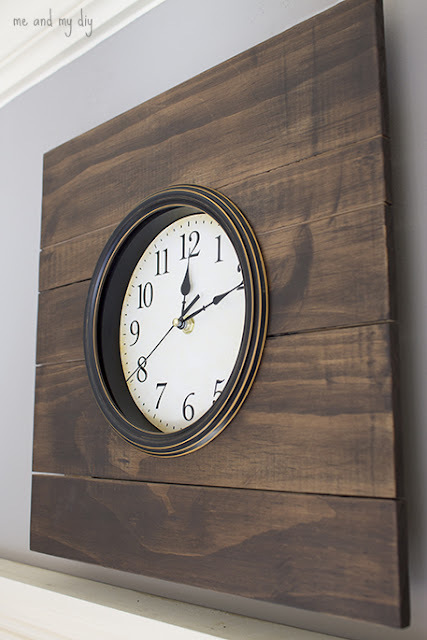 You can check out how to make her Pottery Barn inspired framed wooden clock over at Me and My DIY.